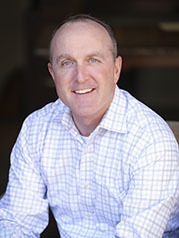 Matt Whelan is the Founder and a Principal with RedLeaf Properties, LLC where he is responsible for strategic direction and execution. He is responsible for leading the adaptive reuse and redevelopment of Highland Mall in conjunction with Austin Community College. The 80-acre mixed-use redevelopment will transform the failed mall into a vibrant district that features nearly 4 million square feet of residential, office, retail, hospitality and educational uses. Executive Managing Partner of Investments at Live Oak – Gottesman where he oversaw development activities and public/private partnership programs. Regional Director for Catellus Development Group and the senior Texas executive responsible for leading the $2 billion public/private redevelopment of the 700-acre Robert Mueller Municipal Airport into a thriving master-planned mixed-use community. ​Senior Executive at CCNG Realty, Inc., responsible for the development of Spanish Oaks, a 1,300 acre, $1 billion, mixed-use project which included retail, multi-family, commercial, residential and golf uses including a network of protected open spaces.